In addition to gorgeous office spaces, Parkwood Crossing offers its tenants exceptional and exclusive amenities including the PARC (Parkwood Amenity and Recreation Center), a 6,000 square foot fitness center with state-of-the-art equipment, locker rooms and private showers, multiple tech-savvy meeting spaces for small or large groups, multiple cafes with online ordering, indoor and outdoor tenant lounges, an Auto Spa and Tesla/universal electric car chargers, a 1.36 mile walking path, access to the Carmel Zagster bicycle sharing program and a connecting path to the Monon Trail. In addition to its own outstanding amenities, Parkwood Crossing is located just minutes away from The Fashion Mall at Keystone, Clay Terrace, Carmel City Center and Carmel’s Arts and Design District offering hundreds of retail shops, restaurants, arts and entertainment options. 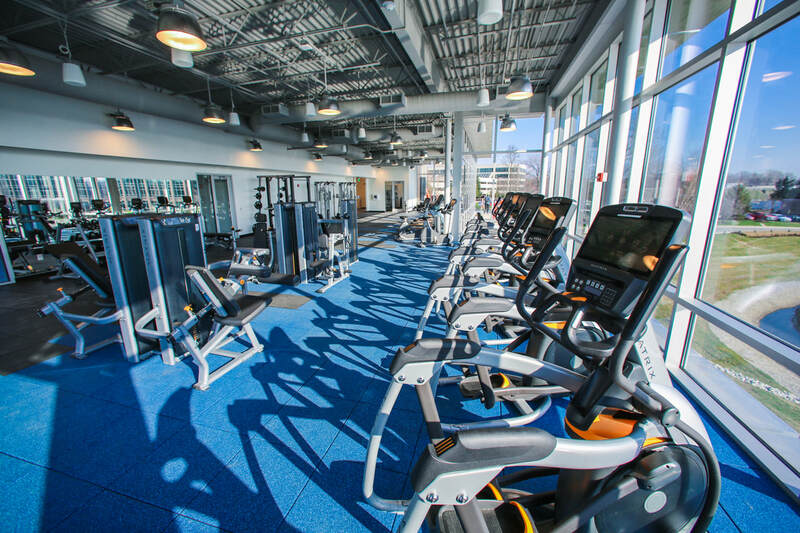 PARC (Parkwood Amenity and Recreation Center): The PARC is a two-story, 14,000-square-foot amenity center at 550 E. 96th St. PARC features water views, a 6,000-square-foot fitness center with locker rooms and private showers, state-of-the-art meetings spaces for small and large groups, Sahm’s café with online ordering and a tenant lounge with indoor/outdoor fireplace and wrap around deck. 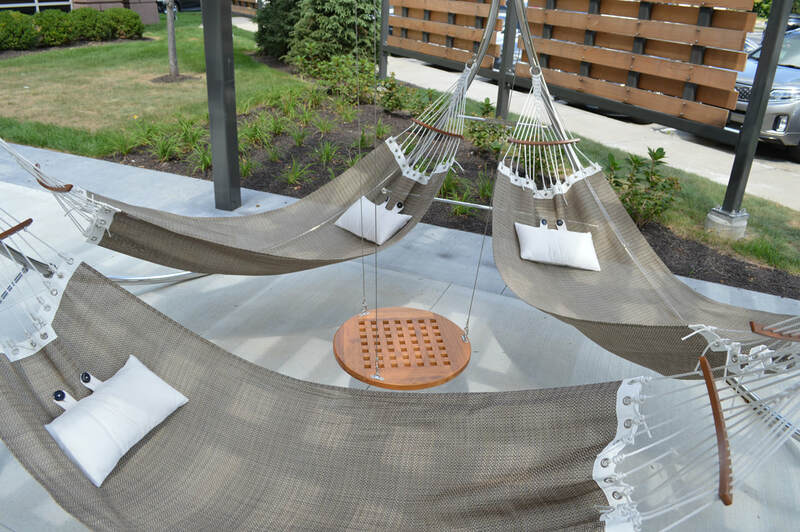 Tenant Lounges: Multiple indoor and outdoor tenant lounges located throughout the park with casual seating and beautiful surroundings to enhance your workday experience. 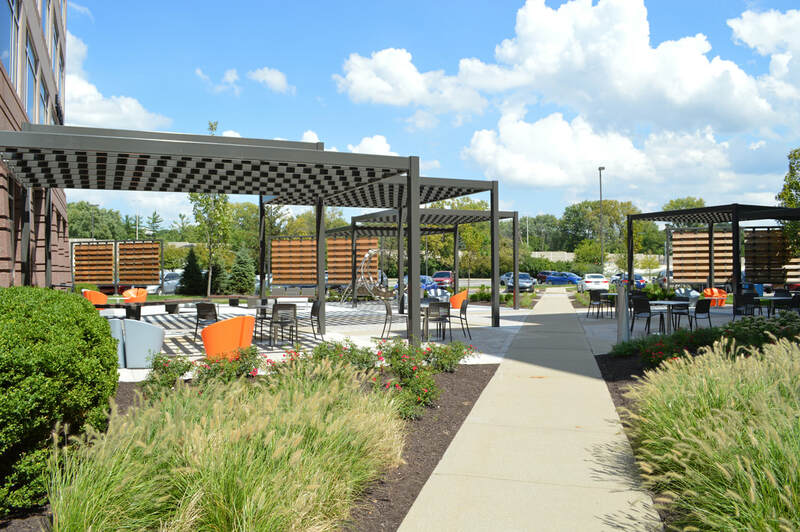 Walking Path & Bike Share: A pedestrian and bike-friendly 1.36-mile walking trail surrounded by trees, flowers, lakes and fountains winds through the park and connects to the Monon Trail and the Carmel/Zagster Bike Share Program has a station at PARC. Meeting Spaces: Multiple, tech-savvy meeting spaces for up to 120 people are available at the PARC and the Nine Parkwood building. Fitness Center: Get a full work out before/after work and during your lunch break on the 2nd floor of PARC. Group fitness classes also available. Restaurants: Sahm’s Cafés, located in the PARC and Eight Parkwood, offer breakfast, lunch, a coffee bar and afternoon grab-n-go with online ordering also available. Sahm’s also provides on and off-site catering options. 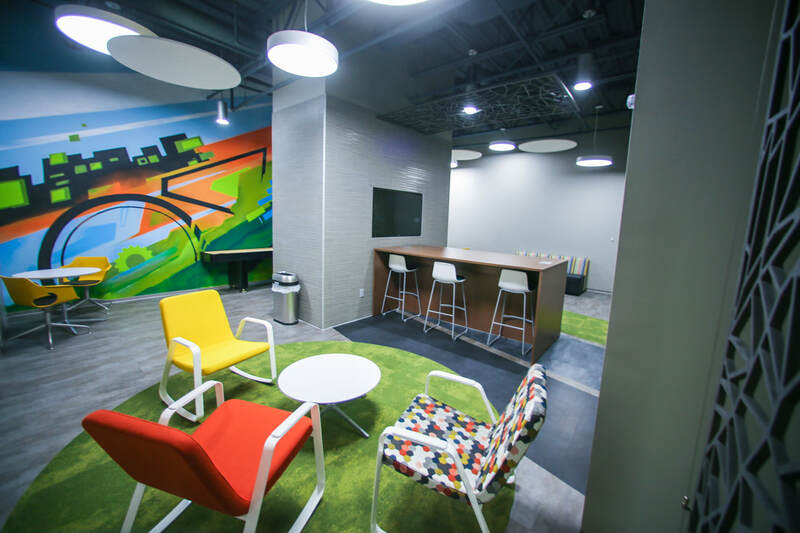 Auto Spa: Located in the Four Parkwood parking garage providing oil changes, car wash, detailing, brake repair, tune-ups exclusively for Parkwood Crossing tenants. Also, Tesla and universal electric car chargers are located at the PARC. 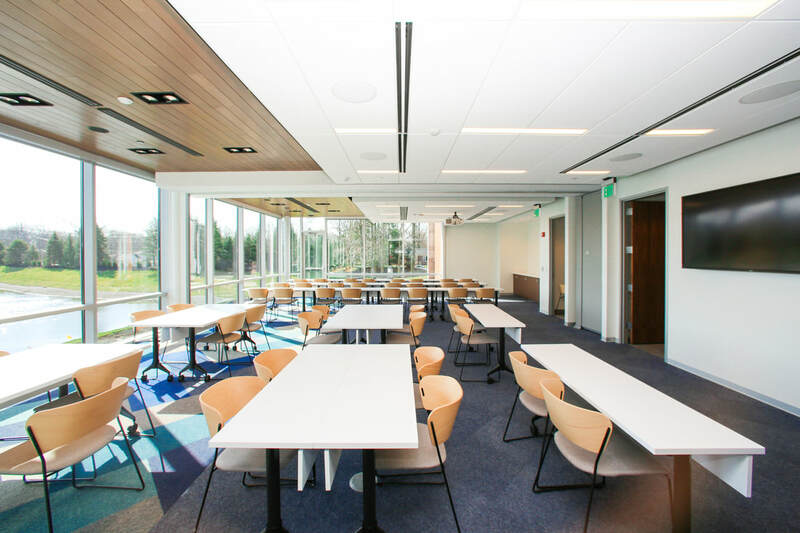 ​Wi-Fi Hotspot: Be connected at Parkwood Crossing with free WiFi available in the PARC, all building lobbies, outdoor common areas and meetings spaces in the park.